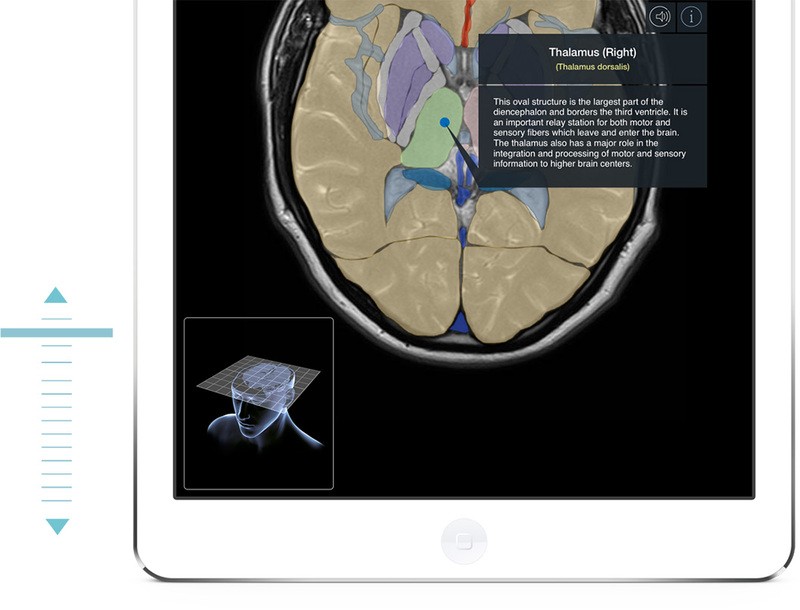 This app is a valuable learning and reference tool for radiologists, surgeons, medical students and nurses. Anyone with an interest in human anatomy will enjoy this application. Anatomically identical scans are labeled to allow for a unique ability to compare the same anatomical landmarks on different scan types. Navigate through the head by pulling a 3D plane (Axial, Coronal or Sagittal) through a 3D head to virtually slice through the brain. 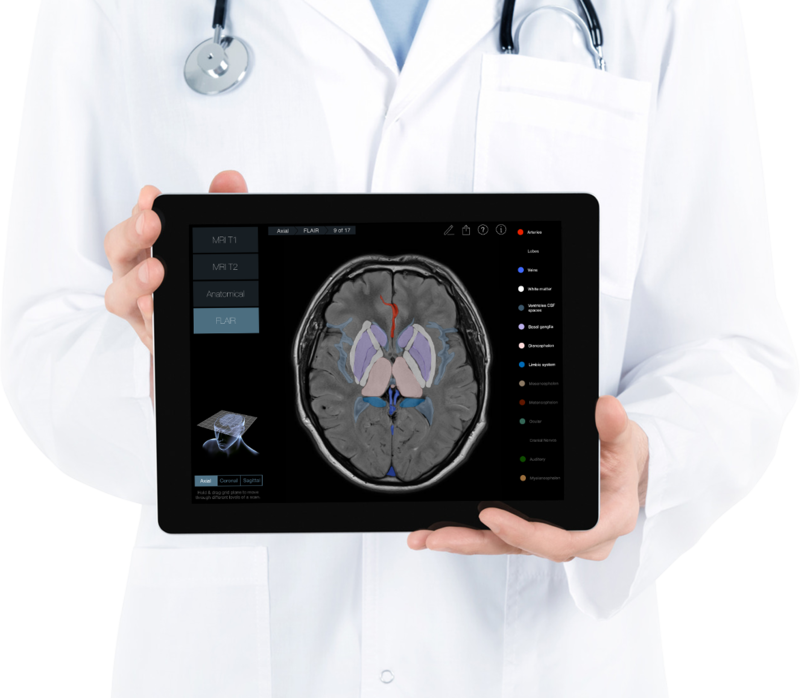 The 3D Model of the head also allows the user to easily identify the orientation and location of the scan. There are three planes that can be chosen with 17 scans for each plane and there are four image types (FLAIR images are only available in Axial). 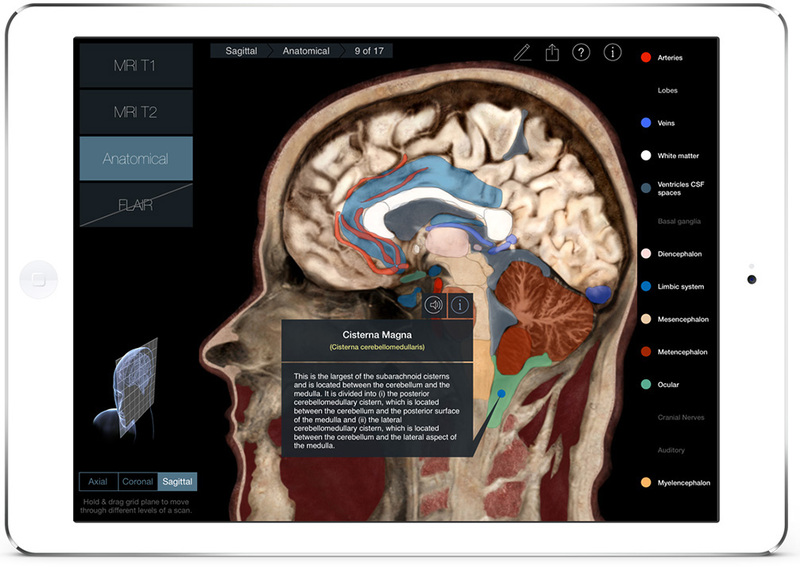 Version 1.0 of Radiology – Head will contain three different scan types as well as anatomical slices. A fourth scan type (CT) will be available with the next update. These scan types are: MRT1, MRT2 and Flair. 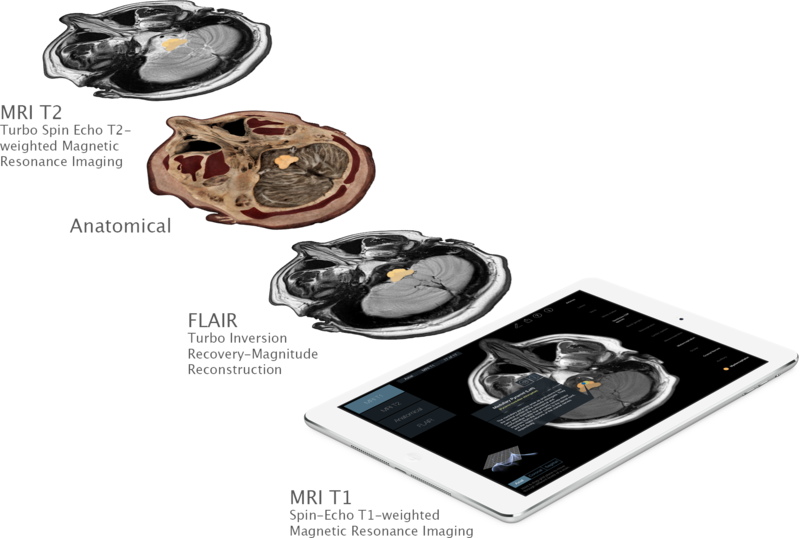 The scans and slices are available in all three planes: Axial, Coronal and Sagittal. Throughout the scans are 300 individual structures that can be identified by pressing on them. Each label comes with Latin nomenclature, text description and a voice over pronunciation. Individual structures are grouped into 14 categories and each category can be turned on or off to allow for clearer identification of structures.